MC 24 is a pH neutral conditioning soap, safe for regular use on all stone floors and honed countertops. Acid-free soap solution for the regular cleaning for all natural stone. MC24 Daily Stone Cleaner is an extra strength degreaser, cleaner and grout film remover that is suitable for all natural stones including Polished Marble, Limestone, Travertine, Terrazzo, Agglomerate and Ceramic Tiles. MC24 can be used as a periodic deep cleaner where heavy soiling is present, for construction job site cleanup, or for removal of grout residues and soap scum deposits. 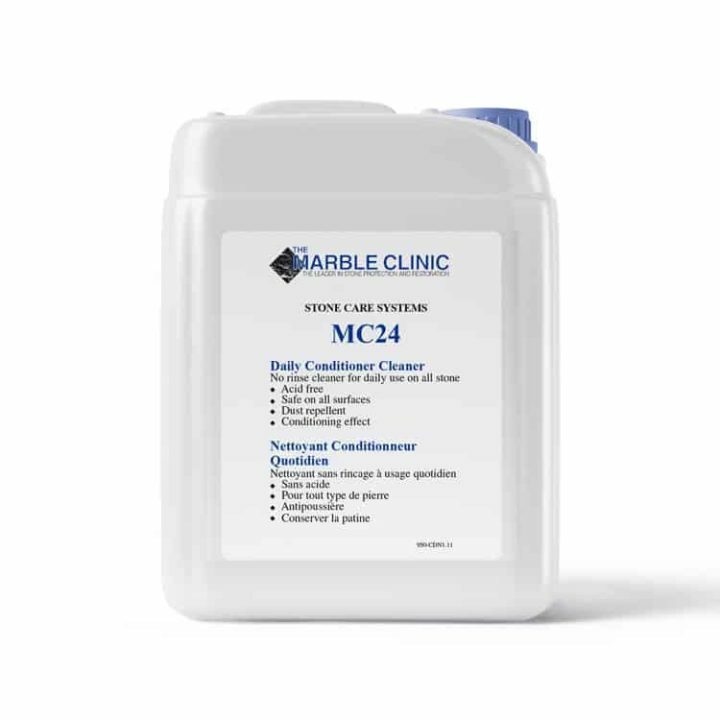 MC24 is an essential part of The Marble Clinic Stone Care System.